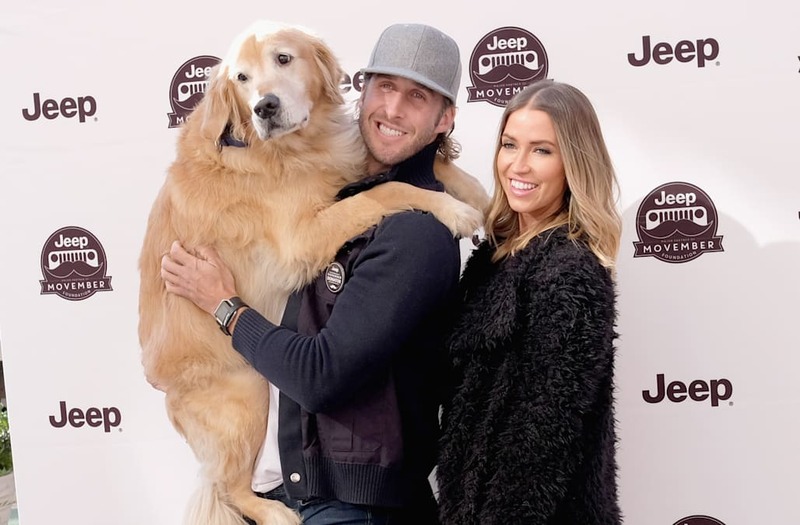 Kaitlyn Bristowe and Shawn Booth of 'The Bachelorette' talk about their relationship, the pressure to get married and their partnership with Jeep and the Movember Foundation. Kaitlyn Bristowe and Shawn Booth are doing it their own way. Despite getting engaged at the end of Bristowe's season of "The Bachelorette" back in 2015, the couple is in no rush to get married, which bucks the traditional trajectory of couples that come out of the "Bachelor" franchise. There's a common pressure to tie the knot that comes with getting engaged on the show, and it's that exact pressure that has encouraged the pair to wait even longer to walk down the aisle. Instead, Bristowe and Booth are focusing on continuing to get to know each other, while also following their own individual interests outside of the "Bachelor" world. For the fun-loving Bristowe, that means trying her hand at songwriting -- something she's had a passion for since she was a little girl growing up in Leduc, Alberta. For Booth, that means spreading his love of fitness through his new endeavor CitySTRONG. With their dog Doodle sitting with us, I caught up with the fan-favorite couple at Jeep brand's 'Stache Styling Barber Shop to support the Movemeber Foundation in New York City's Union Square to talk about the importance of giving back, life in Nashville after the show and getting engaged before they had even exchanged phone numbers. Talk to me about your partnership with the Movember Foundation, and how you got involved in this "Mustache Mod Garage" event, in collaboration with Jeep. Shawn Booth: I've been involved in Movember for a few years now, and I'm very passionate about it. A couple of close family members of mine have had prostate cancer, so I wanted to use the platform that I have from ["The Bachelorette"] last year to help raise as much awareness and money as possible. You guys were given this massive platform after "The Bachelorette." How important is it for you guys to use this incredible reach that you have for good? Kaitlyn Bristowe: It is! We've both been passionate [about giving back] since even before we had a platform -- and we've talked about that -- and now having so many followers on social media, we want to use that for good (and also, to share our lives with everybody), but we really found that, by doing that, we saw how much of a difference we can make. We've been addicted ever since. What kind of feedback do you get from fans regarding your various charitable efforts? Do you find that they support your causes as well? Something that seems so awesome about your relationship since the show ended is how relaxed you guys appear, and that's a place that a lot of couples that come out of the show don't seem to ever get to. When do you guys think you achieved that calm, once the mayhem died down? Kaitlyn: I think we did it pretty quickly. We didn't jump into anything else show-wise or, you know, some people do "Dancing With the Stars." We kind of just dove right into our relationship and were like, "This is our time to get to know each other." I think that was really important. Kaitlyn: Yeah, it was really funny, because we finally had a weekend together after the show ended and when I had to leave, he walked out the door and was like, "Wait, what's your phone number?!" [Laughs] I was like, "Oh my gosh, we're engaged [and we don't know these things about each other]! That's crazy!" Check out this video of things I love — @jeep, Nashville, @kaitlynbristowe and Movember. See the whole story at http://jeep.com/myjeepstory and find out how you can contribute to a great cause and register to win a new Jeep Renegade by participating in the #jeepstachecontest. PS – we’re on our way to NYC this weekend with our custom 'stached Wrangler, ready to have some fun in the Big Apple with @jeep and @movember! More soon! What do you get when you combine @jeep, @movember and @shawn_booth18? This video! We had a lot of fun making it, but this is just a tease. See it all at jeep.com/myjeepstory and find out how you can contribute to a great cause and register to win a new Jeep Renegade by participating in the #jeepstachecontest. We’re hitting the streets of NYC this weekend to spread the Movember love with @jeep! Stay tuned! You guys also chose to move to Nashville, which is different from other stars of the show that predictably move to New York and L.A. Do you think that helps keep your relationship in some ways? Shawn: Yeah, it definitely fits our personalities -- we're really laid-back -- but we also really like to have fun, so we have the best of both worlds in Nashville: We have the countryside, where we can relax and be away from everything, and then it's a 5-minute drive downtown, where we can start honky-tonking. Ben and Lauren reportedly recently delayed their wedding, which, to me, speaks to the pressures imposed by the show to fit a strict timeline of getting engaged and getting married less than a year after the show finishes. But it seems that you guys have kind of overcome that pressure. It would be like your Snapchat, but on Freeform. Definitely, but how do you not give into the pressures of getting married right away? Kaitlyn: We almost feel like the pressure makes us back off even more, you know? It's like, "Oh, you want us to get married? Guess what, we're going to wait even longer!" Today the Jeep brand set of the 'Stache Styling Barber Shop to support the Movemeber Foundation in the middle of Union Square, and there's a contest involved. Tell me a bit about how people can get involved. Shawn: Yeah, it's the #JeepStacheContest: The Jeep brand is doing a giveaway of a brand new Jeep Renegade, and fans can go on social media and take pictures of their mustaches and they'll choose the winner. All they have to do is hashtag #JeepStacheContest, and you can get a brand new Jeep Renegade, so why not try it out? Kaitlyn: We share one! That's one of our only arguments. I'll be like, "I'm going to singing today, I need the car." And he'll be like, "Well, I need to go do this ... "
You mentioned your singing, and I understand that you've been getting really into songwriting recently. Talk to me a bit about that. Kaitlyn: My whole life I've loved singing and dancing -- those are my two favorite things in the world, besides these two [points to Shawn and Doodle] -- and when I got to Nashville, I started to meet songwriters and musicians. I was like, "I'm in the right city for this, you know? I'm going to try it out!" I'm not claiming to be, like, this country singer. Shawn thinks I'm really good, though, so that's something. [Laughs] But, yeah, I've written three songs, and I'm going to continue to do that. I'll record them and hopefully get them out there. And, Shawn, you've really been getting after your CitySTRONG events. How have they been going? Shawn: It's kind of a fitness tour across the country in all major cities. We're coming to New York on the 7th of January. It's just a way to get out and share out passion for fitness with our followers. And it's not just fitness, it's entertainment, too. Talk me through a typical event. Shawn: My partner is Erin Oprea, who's a celebrity fitness trainer in Nashville who trains Carrie Underwood and other singers, and Kaitlyn is the DJ. And by "DJ," I mean she hits "play" and "stop." Shawn: We keep the crowd entertained, and we go out there and do the workouts with them. We always have special guests that show up, and we have live music or other DJs. It's a fun hour, and we end with a meet-and-greet so people can take pictures. The best part is that a portion of the proceeds go to a charity that we're passionate about, it's CreatiVets, which works with soldiers who come home from war and have PTSD. They match the soldiers up with musicians in Nashville, and they write songs about their experiences together. It's therapeutic for them.